In geography, regions are areas broadly divided by physical characteristics (physical geography), human-impact characteristics (human geography), and the interaction of humanity and the environment (environmental geography). 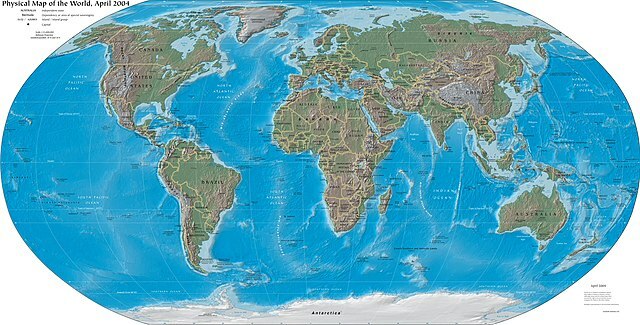 Apart from the global continental regions, there are also hydrospheric and atmospheric regions that cover the oceans, and discrete climates above the land and water masses of the planet. As a way of describing spatial areas, the concept of regions is important and widely used among the many branches of geography, each of which can describe areas in regional terms. OBS Place; rank; station; dignity. OBS The space from the earth's surface out to the orbit of the moon: properly called the elemental region. A few triaperturate pollen grains possibly belonging to Normapolles complex indicate that the vegetation from the Velaux region was probably composed of both gymnosperms (Coniferales) and angiosperms. We speculate that the white regions (lacking pigmentation, unsclerotic) on female tergite may help to accurately perceive and accept the male aedeagus. Three different substitutions were found in four species; these were in the interdomains or C-terminal regions (T196S, A358T and V380M) previously listed in RettBASE as being nonpathogenic in humans. This slumped sitting posture may cause strain, instability, or injury in the lumbopelvic region. The severity of PPF reflects host immunogenic response and degree of infection, which amplify splenic volume and consequently increase hyperflux in the spleno-portal region. On a lighter note, Mr Rudd remarked that Elvis was indeed still alive, referring to the firefighting helicrane that doused the community with 9000 litres of water as flames swept across the region. Meaning of region for the defined word. Grammatically, this word "region" is a noun, more specifically, a countable noun.